v7.2.68 - Make Google AdSense search box look as part of the theme. 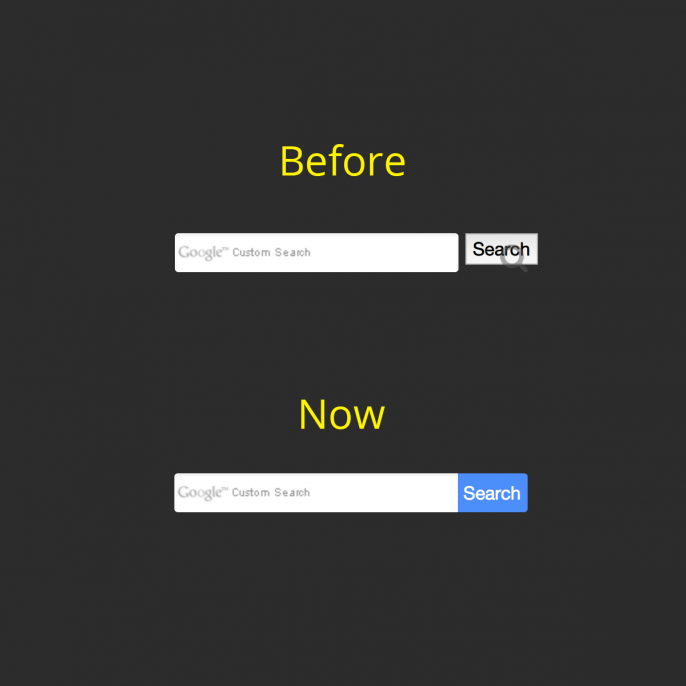 v7.2.68 – Make Google AdSense search box look as part of the theme. It’s been a long time since we released an update. First we wanted to make the current version faster and add more features. But, after hearing your feedback on our earlier post, no one had complaints about speed. The major complaint was about the usability, which was a result of trying to be one theme for everything. Users were confused and felt overwhelmed by the amount options that weren’t relevant to their current use case. We thought the solution to this problem was to move the core functionality of Swift to a framework and then build themes on top of it. This turned about to be bigger work than we anticipated and we might still need another 3-4 months. So we will parallelly work on the current version of Swift, and deliver the things promised in the previous p ost. This version handles the custom navigation search code better when Google AdSense Search code is used.